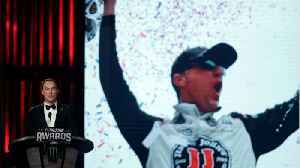 Stewart-Haas Racing's Kevin Harvick says he is not ready to retire and become a NASCAR Cup Series pundit, after rumours linking the 2014 champion to the role. There has been speculation that Darrell.. 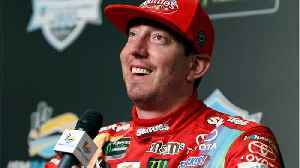 According to Autosport.com, "Busch is now on 199 wins across NASCAR's top three divisions, having won in all three series - Trucks, Xfinity and Cup - at Phoenix. 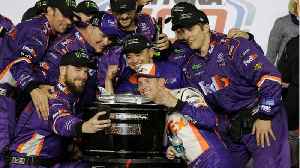 At Vegas, he swept the two supporting..
(CNN)Denny Hamlin negotiated multi-car pile-ups and the challenge of Joe Gibbs Racing teammates Kyle Busch and Erik Jones to win the Daytona 500 in overtime Sunday. The victory is Hamlin's second at..